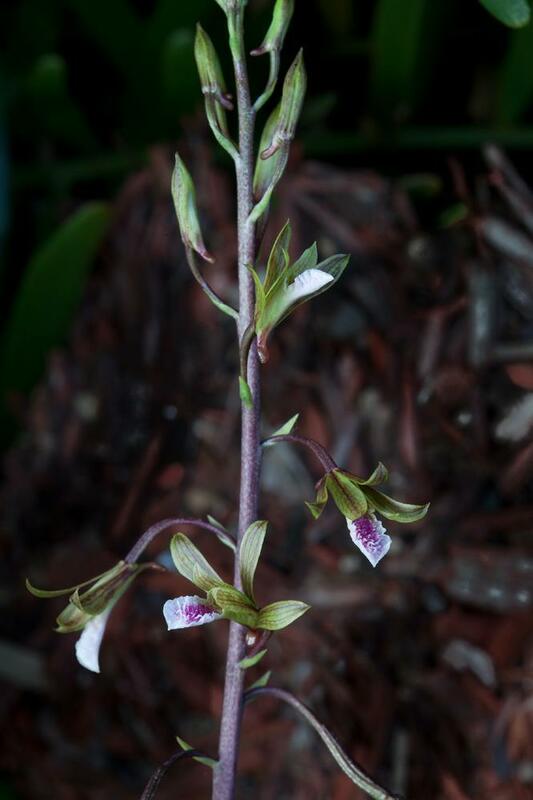 Eulophia graminea is a terrestrial orchid native to Asia discovered growing in mulched landscapes in south Miami. 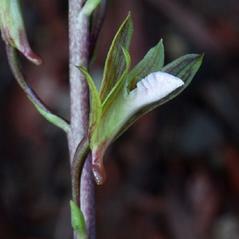 Mature individuals have large pseudobulbs with narrow leaves and the inflorescence can rise to a height of one meter with spreading flowers that are greenish with dark purple, netted veins. 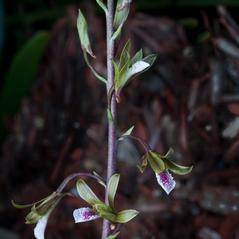 The sepals are lanceolate and acuminate, while the petals are somewhat broader and more acute. 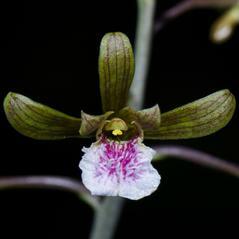 The labellum is lobed and can reach up to 12 mm long with a short spur. 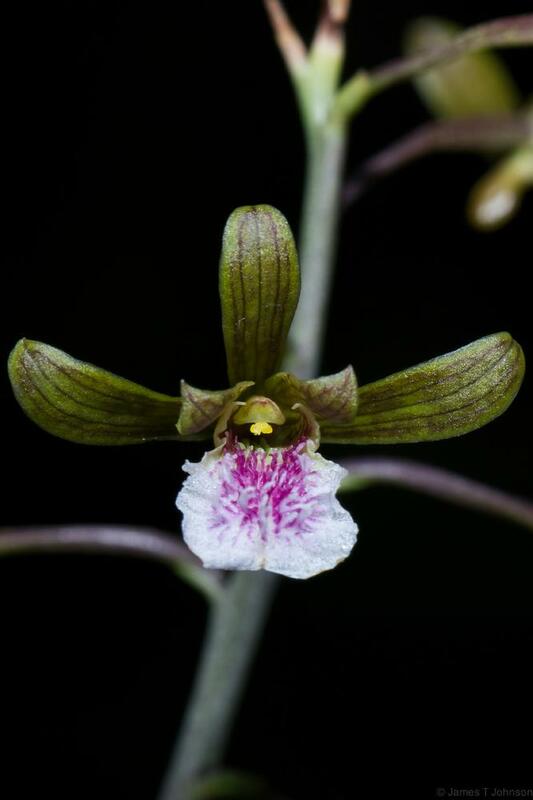 Eulophia graminea forms a dense monoculture and is now found in rockland hammock and pine rockland habitats and cypress strands, growing in rock, sand, mulch and bare earth. 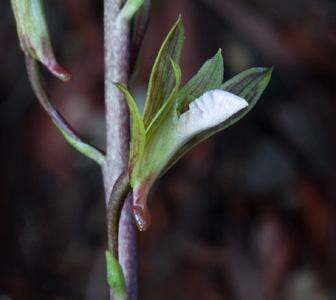 Eulophia graminea is a naturalized ground orchid with the potential to become an invasive plant spread by airborne seeds and pseudobulbs moved in mulch and soil. Its native range has colder temperatures than Florida, suggesting it may spread northward.